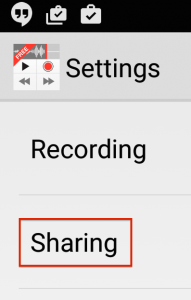 The popular JOTOMI smartphone dictation app Dictate+Connect (formerly known as Dictamus on iOS devices) is now available for Android devices (Android 4.0.3 or later). You can find it at the Google App Store. There is also a free version (limited to test-length dictation) if you want to try before buying. 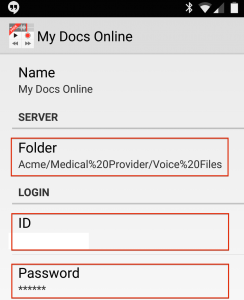 My Docs Online is included as a pre-formatted Sharing Destination, which allows dictation files to be uploaded directly from the smartphone/tablet to the right folder in your My Docs Online account. 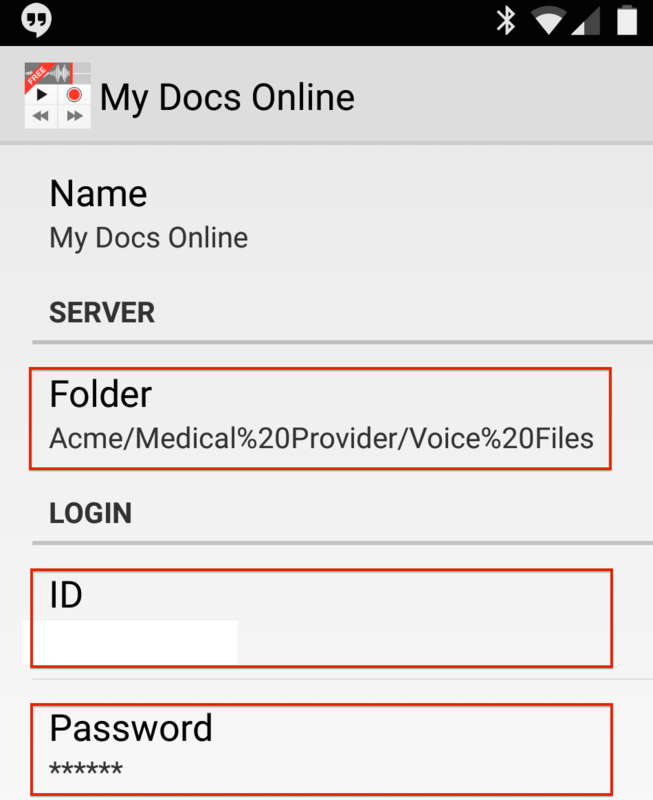 To configure Settings you will need to know your My Docs Online Login ID and password and also the complete folder path where the voice files are to be stored. IMPORTANT: use a forward slash (“/”) not a backslash between folders, and replace any spaces/blanks with the “escape code” %20 (see the example below). In My Docs Online enter your Login ID, Password, and folder path. Remember to use “/” and %20 for spaces (see example). Use the correct ID, password and folder path for your account.